What is ISO 17100 certification? You are here: Home / About / Translation FAQs / What is ISO 17100 certification? 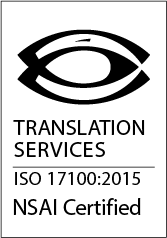 The quality standard for translation service providers. The ISO 17100 standard ensures the consistent delivery of quality for translation services. It certifies that the company has a system in place to manage its translation process and services. Translation Quality ProcessWhat is translation memory?